Mecalux will construct a new automated warehouse for Yamazaki Mazak in Worcestershire (the United Kingdom) set aside to store 60 containers that weigh a maximum 500 kg each. 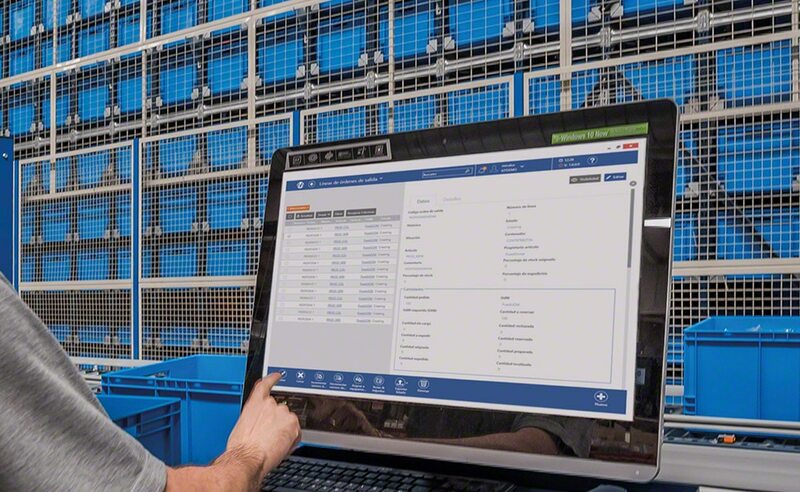 The Easy WMS warehouse management system of Mecalux will ensure smooth, streamlined inputs and outputs of the goods. The warehouse will comprise a single 6 m high racking bay, with five separate levels for storage. Just in front, a trilateral stacker crane will carry out entry and exit movements for the goods automatically. The trilateral stacker crane is a natural substitute for trilateral forklifts used in standard warehouse operations. This solution will guarantee fully-automatic warehouse operations, with minimal personnel involvement. Easy WMS of Mecalux will coordinate and direct all in-warehouse operations at the new Yamazaki Mazak installation. The WMS will also communicate with the company’s ERP, transferring data and information to run and manage the warehouse with more efficiency. Yamazaki Mazak started up in Nagoya (Japan) in 1919, and builds machines used to weld parts together in any type of manufacturing centre (regardless of the sector). Apart from Japan, Yamazaki Mazak established its business abroad in 1974. Today, it has manufacturing plants in the United States, the United Kingdom, Singapore and China.